That looks really great, you've knitted it so neatly and evenly too! It looks lovely Terri. It fits so well and looks so elegant. 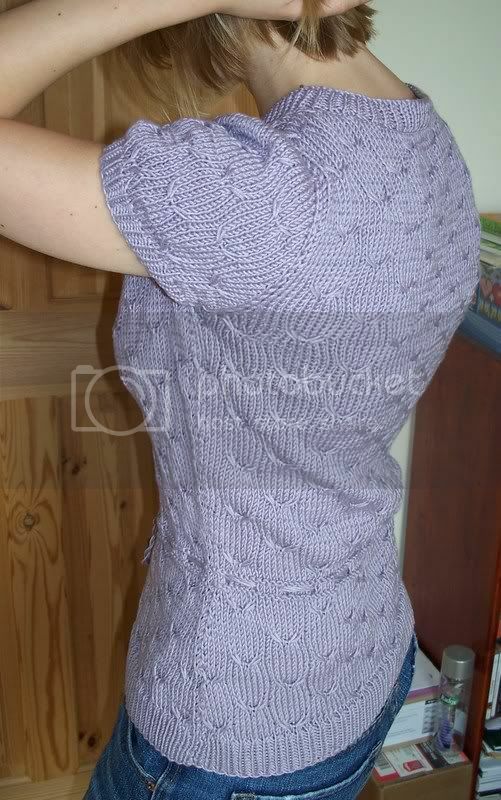 Just stumbled across your blog and had to say, what a gorgeous top and what a fantastic fit! eee, how I wish I had your figure! What a beautiful sweater. And, you make it look even more so. I love the color! Lovely, feminine, sophisticated. To wear with pride and gloat at every possible occasion. Congratulations! I agree with everyone else... it's lovely! Nice work! Hi. 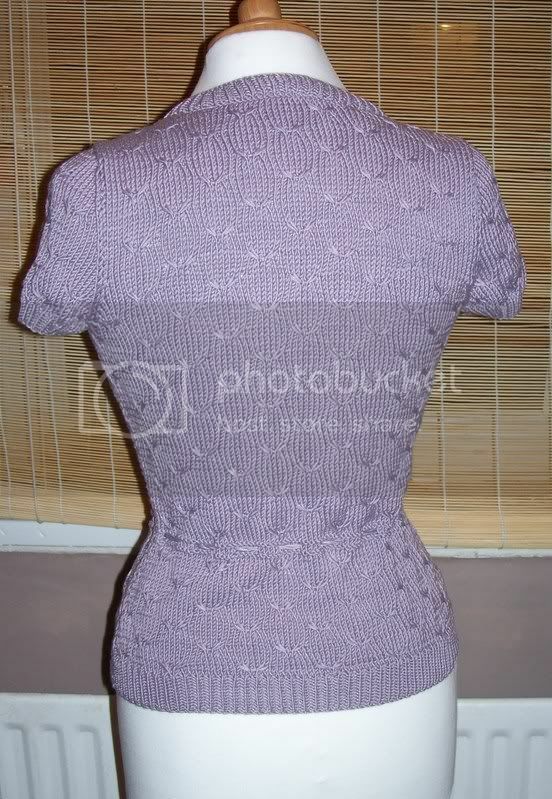 I found your blog when looking for this pattern. It looks amazing on you - such a nice job. Quick question. I'm trying to decide what length to start the "waist" shaping. Did you use your natural waistline as a guide? 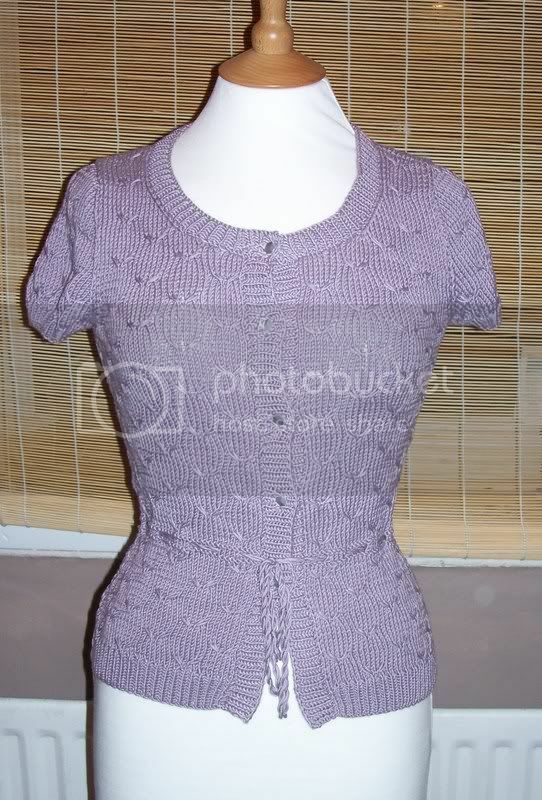 It seems to be that the pattern (and indeed yours as well) have the waist shaping after about 6 inches from CO - is that correct? Secret pal is a gryffindor!!!!!!!!!!! !